We’d love your help. 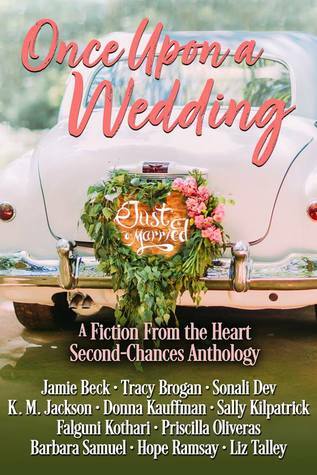 Let us know what’s wrong with this preview of Once Upon a Wedding by Jamie Beck. Eleven best-selling and award-winning authors request your presence as they share all-new novellas that will have you humming the wedding march and dreaming of champagne toasts. It’s easy to tie the knot with these heartwarming, second chance love stories. A Best Man and Maid of Honor loathe each other…until they’re stuck in a cabin meant for a honeymoon. With love in the air at a familia wedding, two high school sweethearts separated by their misguided mistakes just might find their second chance for a happily ever after together. To ask other readers questions about Once Upon a Wedding, please sign up.